In a recently completed research project, Dr. Casey Owens at the Department of Poultry Science, University of Arkansas, used automated vision grading to detect the woody breast condition in broiler carcasses prior to evisceration. The research is made in part by an endowing USPOULTRY Foundation gift from George’s Inc. and is part of the USPOULTRY (www.uspoultry.org.) 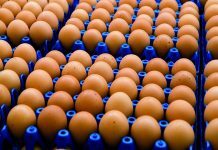 Association’s comprehensive research program encompassing all phases of poultry and egg production and processing. Dr. Owens found that using various measurements of the breast area of the carcass provided a strong prediction of the presence of woody breast in the fillets. Further development of this system may provide processors a valuable tool to sort breast fillets for presence and severity of woody breast. 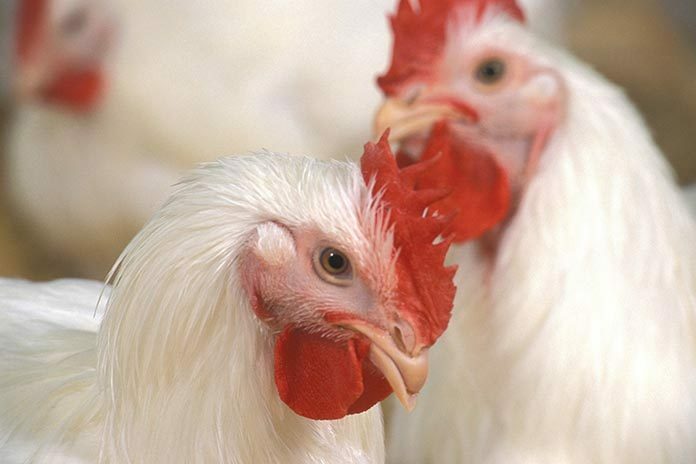 An emerging problem in the broiler industry is a condition referred to as woody breast (WB). WB is a condition in which hard fibers are found in the breast meat, causing the texture to be tough and chewy. 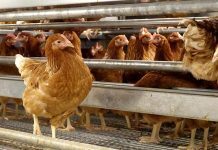 The incidence can be up to 30 percent for moderate and severe cases, especially in heavy broilers. WB can cause alterations in meat quality such as loss of water holding capacity and hardened texture alterations that result in downgrades and even condemnations. Furthermore, this condition can cause potential problems with processing methods such as deboning, portioning and tumble marination. This leads to great economic losses for the poultry industry and potentially a loss in consumer acceptance of poultry in the marketplace. 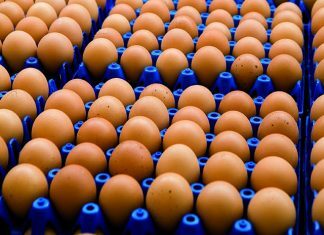 On-line process control is a developing area for poultry processing because it can allow processors to have more real-time process control. Vision grading systems are used in the industry to help sort product before cut-up processes to maximize profitability of cuts. Data collected using vision grading include body dimensions and identification of missing parts. The use of a non-destructive and non-contact vision grading technology could provide a powerful real-time tool to assess woody breast in carcasses. Therefore, the objective of this study was to determine if image analysis can be used to identify broiler carcasses with breast meat exhibiting woody breast characteristics. Images of 1,203 male broiler carcasses from three commercial strains and five ages (6, 7, 8, 9 and 10 weeks of age) were captured prior to evisceration. Whole breast fillets were scored for WB severity based on tactile evaluation. Broiler carcass images were processed and analyzed using ImageJ software. Various parameters for carcass conformation were measured. Correlations between WB scores (deboned fillets) and carcass measurements were evaluated. M4 (angle at keel), M9 (the ratio width at tail end to 20 percent fillet length) and M3 (tail/caudal width) had the highest correlations to WB score. Predictive models were developed using the features of carcass width (upper/cranial end) and area of lower tail (caudal) keel tip region along with the angle of the keel tip region; the sensitivity rates for predicting either mild or moderate/severe categories were very high. This resulted in less than 2 percent of the fillets being misclassified into either severe when it was actually normal or normal when it was actually severe. Though the overall misclassification rate was approximately 32 percent, fillets were more likely to be misclassified by one category (e.g., severe to mild) than by two (e.g., severe to normal). The data shows a statistically significant result with a strong relationship between the variables. This study provides a strong proof of concept that carcass conformation/shape features can be used to predict woody breast in deboned fillets. Though more development is needed to implement this system, it is achievable and potentially possible, using existing commercial vision grading systems. Data collection would have to be automated and final predictive models developed based on the measurements that the automated system (vision graders) can collect. 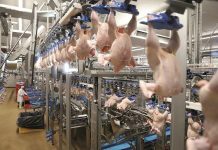 Data obtained by a processor could not only lead to decisions made in the processing plant, but it can aid in determining factors in live production (flock characteristics, flock performance, environment, etc.) that contribute to WB incidence.